Life often keeps us busy. We get caught up with the demands of our jobs, our families and our social obligations. Sometimes, unfortunately, this means that exercise sinks lower down the priority list. But people who keep fit have longer lives, on average. That’s not the only reason to make a point of increasing your physical activity. There are many more benefits for your physical health, your mental well-being and the routines of your daily life. Getting in shape will make it easier to keep your weight under control. It reduces your risk of diseases like type 2 diabetes, stroke and heart disease, and some types of cancer. It strengthens your body and your bones. Becoming more physically active can reduce symptoms of depression and anxiety. It also lowers your risk of developing these conditions down the road. Exercise puts you in a better mood. It triggers the release of endorphins that lift your spirits, relax you and increase your self-confidence. How can you argue with feeling great? The Heart and Stroke Foundation of Canada recommends physical activity as a tool to manage stress. Physical activity also distracts you from your problems by giving you something else to focus on. Other benefits of getting in shape may be unexpected, but can certainly enhance your life. Physical activity helps you fall asleep at night. It also gives you a better night’s sleep. 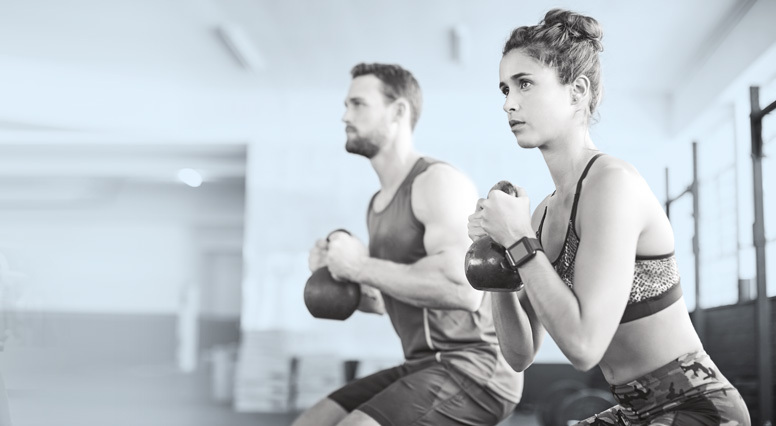 Getting in shape gives you more opportunities to socialize if it means you’re out more in the community, exercising with friends or participating in organized activities. It improves your performance in bed—really! It also gives you more energy to enjoy it. If you’re not currently in shape, you may be nervous about suddenly starting up strenuous activity. You may be worried about having a heart attack, for instance. Try getting more active gradually. Do a little more each time, as you get used to it. And choose your activities carefully. Brisk walking is usually a safe activity to start with. You can build on your progress from there—and eventually enjoy all the benefits of getting in shape.